Every time a company is approved by the North Carolina Commerce Department for a Job Development Investment Grant (JDIG), there is 60 percent of chance that the company will fail short on its jobs, investment or wage promises. This astonishing statistic is contained in a new report by the North Carolina Justice Center that evaluates performance of this key subsidy program in the Tarheel State. The study comes at a time when the North Carolina legislature is about to debate Gov. Pat McCrory’s request to expand the faulty program. JDIG provides performance-based grants to companies that create certain number of jobs in the state. If a company fails to deliver on the promised jobs within five to seven years, the subsidy is cancelled and in some situations money is recouped through clawback provisions (for example, the 2004 failed Dell deal). The Justice Center found that 62 out of 102 projects approved for JDIG grants between 2002 (the year the program was created) and 2013 did not deliver on their jobs, investment or wage obligations and thus were canceled. This 60 percent rate would give you an F in school! In recent months Gov. McCrory has been arguing that money in the JDIG program has dried up and is asking the legislature to allocate more resources. The report, however, shows that JDIG money did not suddenly run out. Rather, more than a half of the money earmarked for the program was granted to one “megadeal” for MetLife. In 2013, the insurance company was awarded $110 million over ten years, or $11 million a year. The yearly payments to MetLife constitute half of the money in the program, leaving only $11.5 million for all other projects. Instead of expanding the JDIG program as requested by the Governor, the report urges lawmakers to strengthen performance measures and evaluation processes. It also recommends focusing on companies in growing industries and taking steps to bring about a more equal distribution of grants between urban and rural counties. Washington, DC, December 16, 2014—Taxpayer subsidies awarded to corporations by state and local governments, supposedly to create good jobs and growth, are instead fueling economic inequality by going to companies that are owned in whole or part by billionaires, and to low-wage employers. Indeed, about one-third of the individuals in the Forbes 400 are linked to 99 taxpayer- subsidized companies, including every one of the 11 wealthiest individuals and all but two of the richest 25. Subsidies have also gone to 87 companies that pay low wages. More than $21 billion in taxpayer dollars have been awarded to these two sets of firms. Seven retailers appear on both lists. Those are the major findings of Tax Breaks and Inequality, a report published today by Good Jobs First, a non-profit resource center on economic development based in Washington, DC. The report is available at www.goodjobsfirst.org/taxbreaksandinequality and was funded by the Nathan Cummings Foundation. Tax Breaks and Inequality is a “mash-up” of Good Jobs First’s Subsidy Tracker database with two lists of companies: firms linked to members of the Forbes 400 list (the wealthiest Americans) and major low-wage employers. “This year, Forbes highlights those said to have built fortunes entirely on their own rather than through inheritance, yet our research shows that many of the billionaires got assistance from taxpayers,” said Philip Mattera, Good Jobs First Research Director and lead author of the report. The members of the Forbes 400 control or are otherwise closely linked to 99 large corporations that have been awarded more than $19 billion in cumulative subsidies, as documented in Subsidy Tracker. Five of the 99 firms have been awarded more than $1 billion in subsidies, including Intel ($5.9 billion), Nike ($2 billion), Cerner ($1.7 billion), Tesla Motors ($1.3 billion) and Berkshire Hathaway ($1.2 billion). The average subsidy total for the group, which is limited to those firms receiving $1 million or more, is $196 million. Among the individuals on the Forbes 400 linked to one or more of the 99 highly subsidized companies are every one of the 11 wealthiest individuals and all but two of the top 25. These include Bill Gates, whose $81 billion fortune comes mainly from his holdings in Microsoft, which has been awarded $203 million in subsidies; Warren Buffett, whose $67 billion net worth derives from Berkshire Hathaway, which has been awarded $1.2 billion in subsidies; Larry Ellison, whose $50 billion net worth comes from Oracle, which has been awarded $18 million in subsidies; the Koch Brothers, each worth $42 billion from Koch Industries, whose subsidies total $154 million; and four members of the Walton Family, each worth more than $35 billion from Wal-Mart Stores, which has been awarded more than $161 million in subsidies. Inequality is also caused by the long-term stagnation and even the decline of wages in real terms for many low- and middle-income workers. Here, one would hope that the billions spent on economic development would help raise living standards for typical families. But instead Tax Breaks and Inequality finds dozens of large low-wage companies being subsidized. Eighty-seven such companies have each been awarded more than $1 million in state and local subsidies, for a total of $3.3 billion. Retailers dominate the list, with 60 firms awarded more than $2.6 billion in subsidies. Twelve firms in the hospitality sector (restaurants, hotels and foodservice companies) account for more than $245 million in subsidies. The low-wage companies with the most in subsidies are: Sears ($536 million), Amazon.com ($419 million), Cabela’s ($247 million), Convergys ($202 million), Starwood Hotels & Resorts ($166 million) and Wal-Mart Stores ($161 million). Eight companies, seven of them retailers, are both linked to members of the Forbes 400 and pay low wages: Sears, Amazon.com, Wal-Mart, Best Buy, Bass Pro, Meijer, Menard, and Allegis Group. Washington, DC—Good Jobs First today issued its analysis of the Governmental Accounting Standards Board’s (GASB) proposed new accounting standard for economic development tax subsidies. Using the umbrella term “tax abatements,” for property, income, sales and other tax expenditures, GASB’s proposed new standard will for the first time require state and local governments to report how much revenue they lose to economic development subsidies. Good Jobs First’s overview page about GASB and the “Exposure Draft” is at www.goodjobsfirst.org/gasb. That page also links to a detailed summary and critique of the proposed standard at http://www.goodjobsfirst.org/gasb_analysis . The Good Jobs First analysis lays out five different tax-based subsidies that might elude GASB’s definition, including tax increment financing (TIF), personal income tax diversions, sales tax diversions, payments in lieu of taxes, and so-called performance-based incentives. It also questions GASB’s decision not to call for project-specific disclosure or for the reporting of future-year obligations. When The New York Times reported that JPMorgan Chase was seeking close to a billion dollars in incentives to build a new trophy headquarters on Manhattan’s Far West Side, the idea seemed too audacious to be true. As it turns out, it was. The New York Times reports that JPMorgan has abandoned its plan to develop two towers in Hudson Yards and will keep its headquarters in two buildings located at 270 Park Avenue and 383 Madison Avenue. The de Blasio administration has cause to celebrate the apparent success of its decision not to provide huge economic development subsidies to wealthy corporations for uncertain job promises. New York City Deputy Mayor Alicia Glen responded to JPMorgan’s decision by stating: “This is an outcome that validates our approach, and our belief that these deals often come down to factors that have nothing to do with taxpayer subsidies.” This is a truth that Good Jobs First has been documenting for years. Just prior to the collapse of the deal with JPMorgan Chase, a group of labor unions and government accountability advocates organized under the banner of the Committee for Better Banks and was about to issue a report detailing the history of abuse of taxpayer subsidies by JPMorgan Chase in New York City. JPMorgan Chase (previously Chase Manhattan) is a poster child in New York City for the waste of lavish subsidies in return for failed job creation promises. In 1988, after threatening to leave New York City for offices in New Jersey, Chase Manhattan was offered an unprecedented package of city tax subsidies, worth over $200 million in property and sales tax breaks as well as infrastructure payments, to relocate 5,000 of its employees to 4 Metrotech Center in Brooklyn. JPMorgan has not paid any property taxes for 4 Metrotech for the past 25 years, a savings of over $170 million. Additionally, it has benefitted from over $37 million in sales and other tax benefits. Despite the generous subsidy, the firm never achieved its promise to retain 5,000 employees at Metrotech and create 1,450 jobs. In 1999, Chase Manhattan cut 10% of its New York City workforce when it fired 800 employees and relocated thousands of other workers to Florida, Texas, and Massachusetts. Current full-time permanent jobs at 4 Metrotech Center in Brooklyn are approximately 2,500, less than half of what was originally promised. Since the financial crisis of 2008, JPMorgan has cut about 12% of its citywide workforce. The New York City Industrial Development Agency recaptured about $100,000 in subsidies from the bank, and its agreement with the city for its Brooklyn location is set to expire in 2015. What has been less clear to the public is the enormous benefit JPMorgan receives for one of the buildings it currently owns located at 270 Park Avenue. Although it was originally intended to provide incentives to industrial firms seeking to expand in New York City, the Industrial and Commercial Incentive Program (ICIP) is widely criticized for providing excessive subsidies to non-industrial firms. JPMorgan Chase is currently at the midpoint of a 12-year property tax exemption through ICIP for its property at 270 Park Avenue, valued at about $100 million. Clearly, JPMorgan understands well how to shake the tree for government subsidies. In May 2014, the New Jersey Economic Development Authority offered JPMorgan Chase approximately $225 million in tax credits to retain 2,600 employees in Jersey City. Advocates have called this deal “mind-boggling.” Similarly, Good Jobs First has documented in Subsidy Tracker subsidies received by JP Morgan in 13 states. JPMorgan Chase received $25 billion in bailout assistance (later repaid) from the federal government through the Troubled Assets Relief Program (TARP). It is too early to know whether the collapse of this particular subsidy deal signals a truly new approach to economic development policy in New York City. However, it is certainly worth commending the de Blasio administration for not bowing to JPMorgan’s original demand. And perhaps it can be a lesson to economic development officials nationwide that taxpayer subsidies are not required to maintain a rich business environment. The Kansas City, Missouri city council will take up a familiar issue in the coming weeks: How much revenue should be devoted to economic development endeavors? KCMO Mayor Sly James has proposed a limit on the amount of property tax available to subsidize development in the city. His proposal, under consideration but not yet approved by the council, would cap the amount of property tax available for use as a subsidy at 50 percent of the total property value for any given project. Property tax abatements and tax increment financing are commonly employed subsidies in the Kansas City area. The Tax Increment Financing Commission and the Planned Industrial Expansion Authority both retain the power to approve subsidies that capture up to 100 percent of the total property tax value of a project. Other taxing jurisdictions that rely on property taxes to fund public services – school districts, counties, and fire districts are shorted revenue by these diversions. If approved, Mayor James’ proposal would cap these subsidies by prohibiting the KCMO city council from approving any deals made by the economic development entities in which more than 50 percent of the property tax is diverted from public coffers. 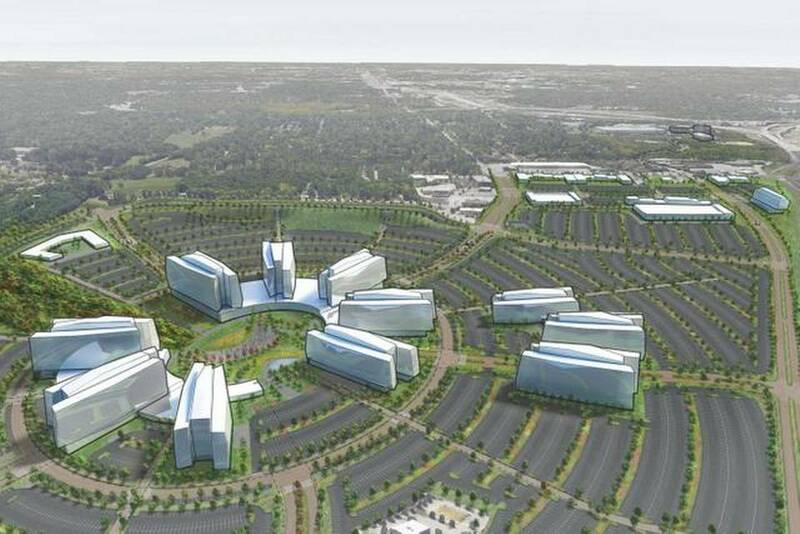 The Mayor’s reform proposal comes just a year after the City Council approved one of the largest tax increment financing deals in history for Cerner Corp., which stands to receive a $1.6 billion subsidy for the expansion of its corporate campus in South Kansas City. Wasteful, inequitable subsidy awards are a predictable result when tax revenues are spent by special economic development authorities before even making it to state and local general funds. Mayor James’ proposed cap is a good first step to ensure that at least some of the public’s money is reserved for public purposes. A new audit of the controversial Texas Enterprise Fund is casting deep doubts on economic development practices in Texas and has become a key issue the current gubernatorial race. Over the course of Governor Rick Perry’s term in office, over a half-billion dollars in subsidies have been awarded to over 100 companies. New revelations from the recent audit raise questions as to whether recipients were adequately vetted and monitored. Nearly half of the money awarded, some $223 million, went to 11 recipients that failed to file an application or make specific job creation promises. Texas Attorney General Greg Abbott, a candidate for Governor, denied public access to application records on TEF subsidy recipients. Oddly, the audit revealed that some applications which the Attorney General’s office claimed were exempt from freedom of information laws never actually existed. The Auditor specifically criticized the practice of “self-reported information that recipients submitted” to determine compliance. A January 2013 report to the legislature gave a misleading impression about subsidies by reporting promised job creation from TEF recipients. The actual rate of job creation, 73 percent, was omitted. Such oversights led the Auditor to conclude that “The Office also did not consistently provide decision makers with complete and accurate information.” Worse, the report ignored requirements to inform the legislature about the median wages of subsidized jobs and the number of jobs providing health care benefits to employees. TEF subsidy agreements frequently failed to adequately define full-time job creation, despite requiring it from subsidy recipients. And some subsidy recipients weren’t required to meet job-creation benchmarks before receiving grants. The Governor’s Office fell short on recapturing some $3.8 million in subsidies from 23 recipients whose contracts were terminated and could have collected some $14.5 million through clawbacks from firms failing to meet job creation goals. State law requires that both the Texas Speaker of the House and the Lieutenant Governor be notified about changes in subsidy contracts. But the audit reveals lapses in notifying these parties about changes in subsidy contracts. GASB Finally Prepares to Step Up! And Who is GASB, You Ask? For many years, we at Good Jobs First have criticized GASB—the Governmental Accounting Standards Board, or “GAZ-bee”— for failing to require state and local governments to disclose economic development subsidy spending in a uniform way. It appears that’s finally about to change, and if it does, it will be hard to overstate the significance of the news. As the group that has been successfully shaming states and cities to disclose on subsidies all these years, with our 50-state and 50-locality “report card” studies, and as the group that has been collecting all the public data—and also lots of previously unpublished data—in our Subsidy Tracker database, we are intimately familiar with the irregularities and gaps that exist in these vital public records. And we have long shown how to fix them in our model legislation. First, a quick primer on GASB: it is the public-sector counterpart to the Financial Accounting Standards Board, or FASB, which issues private-sector accounting rules. Each body oversees its respective set of rules, which are constantly under review and improvement, known as Generally Accepted Accounting Principles, or GAAP. Adhering to GASB, cities, counties, states (and other government bodies such as school boards and sewer districts) must account for their finances in conformity to GAAP if they want to receive ratings from the major credit ratings agencies (Moody’s, Standard & Poors, Fitch), which they must earn if they wish to sell bonds. Now, GASB is preparing rules that say: to meet GAAP, governments will have to publish an annual accounting of the revenue lost to economic development subsidies. The proposed wording of these rules has not been issued; all we have are board-meeting minutes of a low-profile process spanning more than two years, as GASB gathers information and debates how best to achieve this new standard. GASB is using the term “tax abatement” as an umbrella term (not just specific to local property tax exemptions) but “a reduction in taxes… in which (a) one or more governmental entities forgo tax revenues that [an individual] taxpayer otherwise would have been obligated to pay and (b) the taxpayer promises to take a specific action that contributes to economic development or otherwise benefits the government(s) or its citizens.” This would appear to also cover state corporate income tax credits and state or local sales tax exemptions, but apparently not tax increment financing. As part of that process, GASB even commissioned a survey that included citizens groups, county board members and bond analysts. Tellingly, the bond analysts said they are most keen to see both current and future-year costs. For cities like Memphis, where we recently found that Payments in Lieu of Taxes (or PILOTs) cost the city almost one-seventh of its property tax revenue, such losses are apparently becoming bigger concerns for bond investors. GASB will have a three-month comment period on its proposed rules starting next month (November). For all the cost-benefit debates featuring inflated ripple-effect claims that beg the more fundamental issue of cause and effect, we have always said: the only thing that can be said for sure is that development subsidies are very expensive, so costly that they undermine funding for public goods that benefit all employers. Therefore, at the very least, taxpayers have the right to know the exact price of every deal and every program (and the outcome of every company-specific deal). GASB now appears to be moving to make some form of standardized disclosure of tax-break costs a reality for reporting periods after December 15, 2015 (and sooner on a voluntary basis). Some important details remain to be clarified. Based on the board minutes, it appears that GASB will propose giving governments the option of disclosing individual deals or only programs costs in the aggregate (the latter option would be far inferior). We’ll know for sure when the draft standards are published sometime this month. Good Jobs First will publish a detailed analysis of the draft when it comes out. But for now, the big picture is simply huge: the body that effectively controls how taxpayer dollars are accounted for is finally catching up to the Wild West of record-keeping known as economic development incentives. Washington, DC – Good Jobs First today congratulated the State of California Governor’s Office of Business and Economic Development (“GO-Biz”) for the first-ever effective ban in the United States of consultants receiving percentage commissions on a major economic development tax-credit program. It also criticized the prominent tax-consulting firm led by G. Brint Ryan of Texas for seeking to overturn the ban. The California regulations were quickly challenged in a lawsuit by Ryan, the large Texas-based tax services firm that was described at length in the New York Times’ December 2012 series “United States of Subsidies.” Its founder G. Brint Ryan, is a major political donor in Texas and his firm helps fund TexasOne, the organization behind Gov. Rick Perry’s job-piracy trips to other states that Good Jobs First has criticized for their unprecedented levels of political partisanship. “We congratulate California for a gutsy reform that should inspire many states to follow suit,” concluded LeRoy. Good Jobs First is a non-profit, non-partisan resource center promoting accountability in economic development. Founded in 1998, it is based in Washington, DC.